I had a lot of problems with the movie “Drive”. From the minute the pink scrawled lettering like something out of Miami Vice splashed across the screen to his silver scorpion jacket, it felt like Nicolas Winding Refn was just using these trendy hipster signifiers for no reason. They didn’t have anything to do with this moody, silent character or his surroundings except to look pointlessly dated. The one thing I did agree with was the music. Something about the updated synth sound called back to reminiscing about that era without referencing it directly, something that the wardrobe and graphic design didn’t do. This single from Shadow Shadow aka Mattias Friberg struck me immediately as working from the same place as The Chromatics or David Grellier of College on the Drive soundtrack. They succeeded where everything else failed in adding a contemporary neo-romantic atmosphere for the stylized film. Shadow Shadow worked on these tracks that are part of a full length with various musicians who stopped by his cabin in the woods somewhere in Sweden. Whether it was the remote location or the three years he spent out there with ancient electronics, he’s delivered on reinterpreting pop inspired by the late ‘80s rather than copying it directly. A-Side’s "10000001" uses a slow, dreamy electronic fade in which quickly reveals an epic dance polish like Daft Punk with sampled booming drums setting this up in a huge, inner fantasy space. The vocal from Kicki Halmos is close up in the mic with an inherent talent for immediately getting to that vulnerable place. You can’t help but have a reaction to her pleading, creaky vocal. Back and forth tom hits and twinkly keys are the bare bones setup for this melancholy melody that works at being nothing but sad. The glitchy electronics are the perfect contrast for how emotionally human her vocal is and prop this up into stratospheric heights like the Postal Service (no pun intended). I don't know what kind of hit songbook or scientifically proven pop theory they were working from but Shadow Shadow has gotten a hold of it. "Riviera" on the B-Side fades in slow forming electronics out of the cloud, Vangelis style. Shadow Shadow has a knack for the real tight, obvious sine wave sounds that are deliberately not created from anything in this world. This track takes it’s time, waiting for magic hour and that sunset scene with lens flare, the camera circling around the couple, delivering measured lyrics together. There's no sense in fighting this despotic pop under such a skilled engineering hand. It's been worked out on a thousand whiteboards and power point presentations to deliver maximum emotional response and then to do it in a way that it's not even a bad thing. It’s a feat of engineering that they can be this transparent and get away with it. The way that giant suspension bridge still feels like a mystery once you get out there in the middle of the deck. 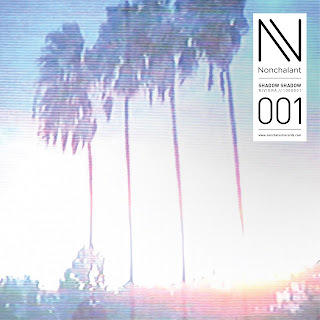 No matter what they have a hit, not a thumping trance dub hit, but a more thoughtfully crafted track that can sneak up on you in a vulnerable moment. Just the thing for a rainy night, driving a getaway car, or helping your cute neighbor work things out with her husband. No store set up yet for direct sales, but hit them up on Facebook. Shadow Shadow, AKA Mattias Friberg, releases its North American debut 7", "Riviera" July 23rd via Nonchalant. The contributors to the project include: Britta Persson, Sibille Attar, Kicki Halmos (Masquer), Nina Kinert, Per Nordmark (Kriget), Karl Arvidson, Johannes Borgström, and Mathias Oldén. 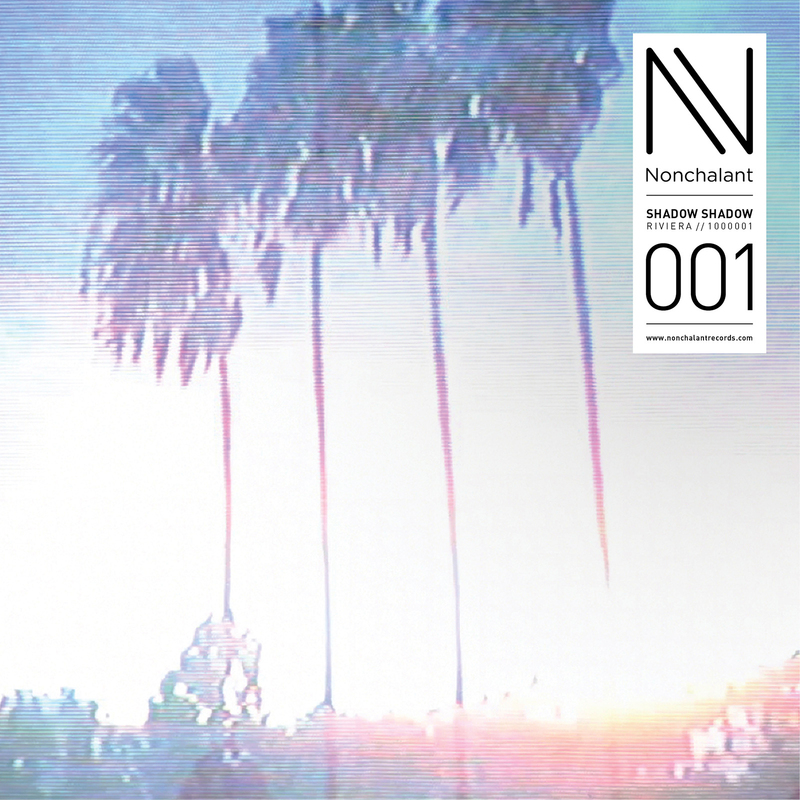 Nonchalant is a brand new label out of Santa Monica, CA. It's the label arm of the commercial music house, Hum.